I spent a fairly large part of December living out of my suitcase traveling to Pune for work. Being my first visit ever to Pune as an adult I was looking forward to it. I’m told this is not my first time there. We lived for many years in Maharashtra and had crossed Pune en route on multiple occasions. The last time I was there, I don’t even remember. That must have been moons ago when I was a kid, most of which I can barely recall. And even if I did, it would do no good. Over decades, Pune is known to have seen oceanic wave of change the way Bangalore did. Nevertheless, it was a trip I lived and loved like I owned it. 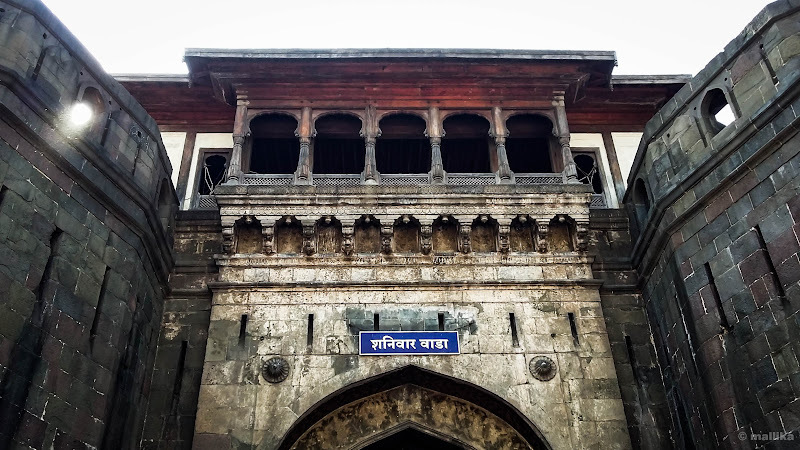 I am taking you on a short walk to Pune through my eyes. Bear with me, these photos do no justice as I was without my real camera. All these captures were shot on my cell phone. Vivacious and live. Modern, yet heirloom. 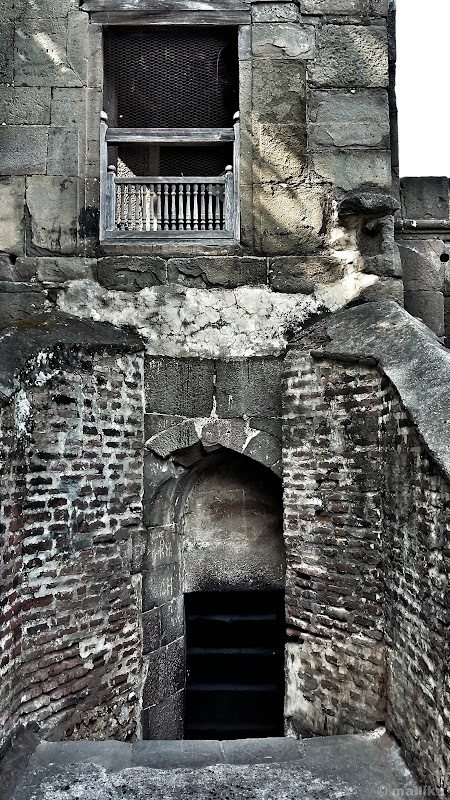 It’s a city where warriors whisper their manifestation through their wadas in every nook. 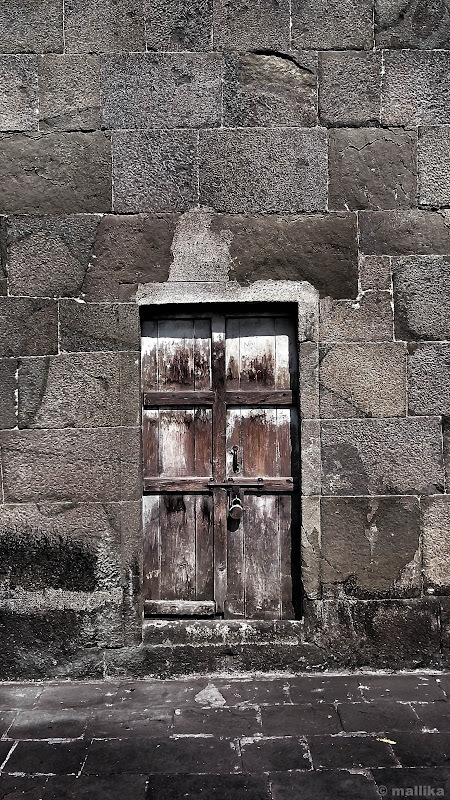 Where the stony edifices call out in solitude and their empty staircases in splashes of grey monotones make you weep. They take you back to school, to those history classes of 6th standard, leaving you in terrible guilt by reminding you how much you dreaded mugging Shivaji and Bajirao’s valor. Why I ask? Instead why didn’t our schools profess visiting these iconic citadels with their near-collapsing rustic wooden panes and ornate windows, that speak of their crumbling legacy and history entangled in this contemporary city. 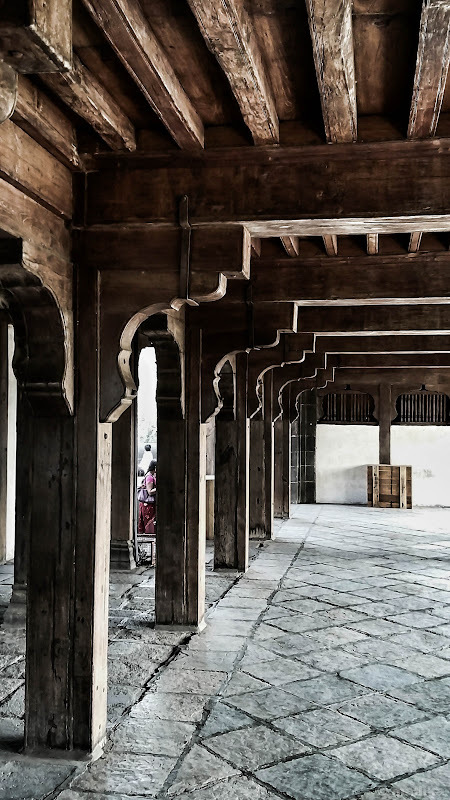 Echoes of bygones are heard in these architectural splendors. You wonder what lives have lived behind those warped doors. 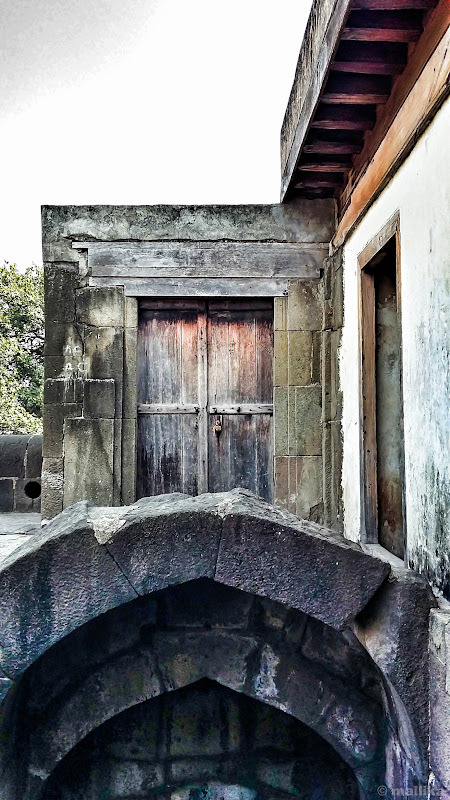 Their ruins and textures speak to you peeking from their pasts - from those granite slabs at the entrance of Shaniwar wada that etch their account, from their colossal wooden doors that weathered the centuries gone by; they once stood as epitome to the bygone Peshwa and Maratha reigns. You hear them whisper through cracks as they frail. 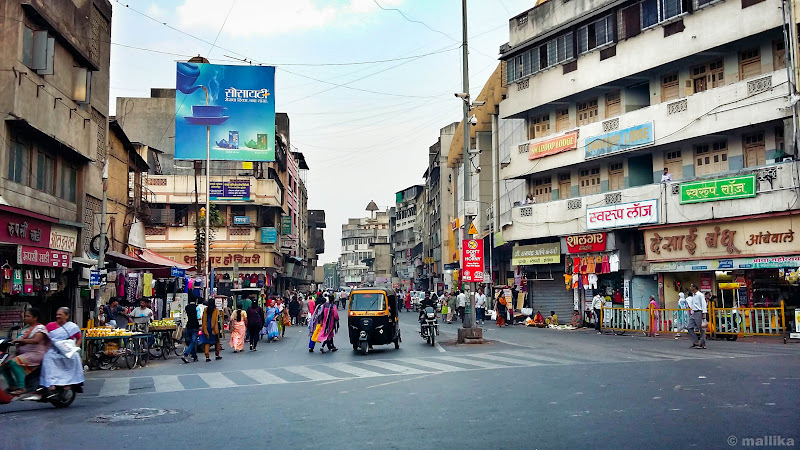 Pune is a sprawling city where urbanization is vastly seen in every spectacle that your eyes go. There are pockets of lanes and by-lanes that speak of their heritage caving their ways into modernization. 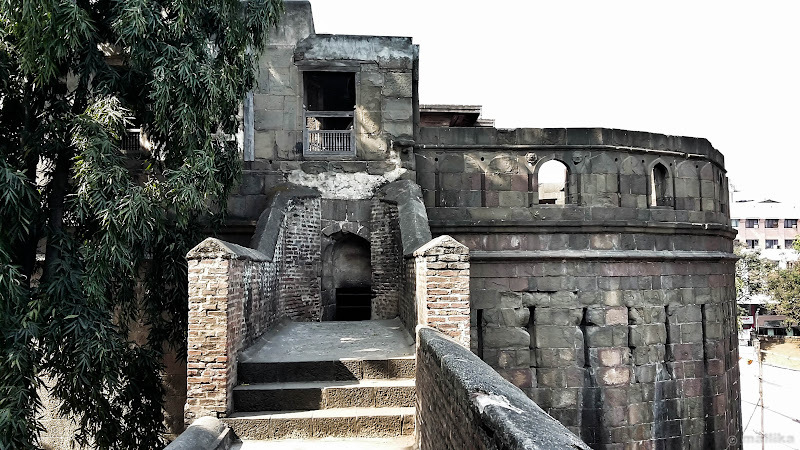 There are wadas, forts and caves in the heart of city. Women draped in nauvaris haul carts heaped with fruits, weighing their daily sales. Men with kind eyes line the pavements, ride bicycles, and crowd the bazaars in their faded dhotis and topis, heavily dusty and pale from whites to browns. There are beautiful images of the daily Pune life that can't escape your eyes. Like markets crammed with fruit and vegetable vendors calling out to you. Kirana stores dotting the city all over. Wada-pav and sabudana wada bringing bliss to the common man’s appetite. Chitalebandhu and Kayani lending soul to early evenings. 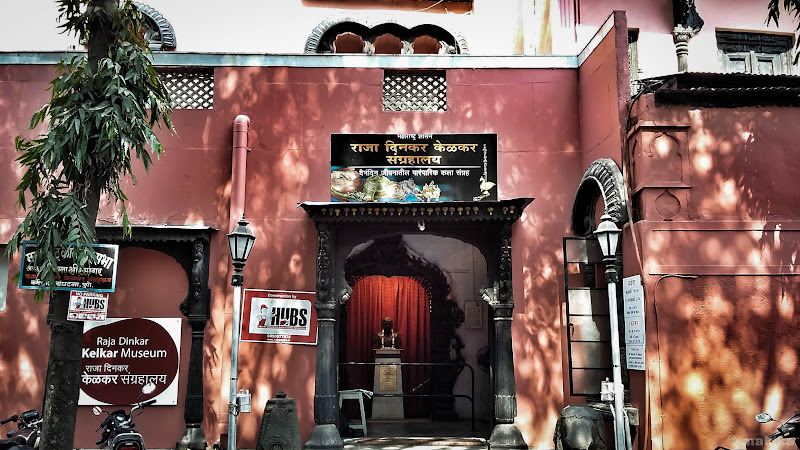 Marathi interspersed in sweet high tones; chalā chalā, puḍhē jā, kai jhālē. Sounds and smells of Marathi culture in everything, everywhere. It draws you into their culture, ties you with theirs. Yet, if you tour the city as a tourist you’ll see a wave of urbanization. Buildings over buildings, like matchboxes stacked over each other, glued together. From a bird’s eye view, they look like cardboard cutouts in varying heights placed randomly. That’s how cities look like, right? Like blueprints in real time? Construction in every area. Flyovers at every stretch. Tall, wide ad banners in every sight, at every turn. You read in Hindi, it sounds like Marathi. A melodious rhythm that leaves you thinking their meanings. There are buildings called IT factories shaped in form of an egg, globe, geometrical structures of triangles, hexagons and pentagons, some lopsided and shapeless too, that seem like the architects’ messed up work. There’s keenness everywhere to cover them with tinted glass panes to hide the lives behind. They see you, you don’t. 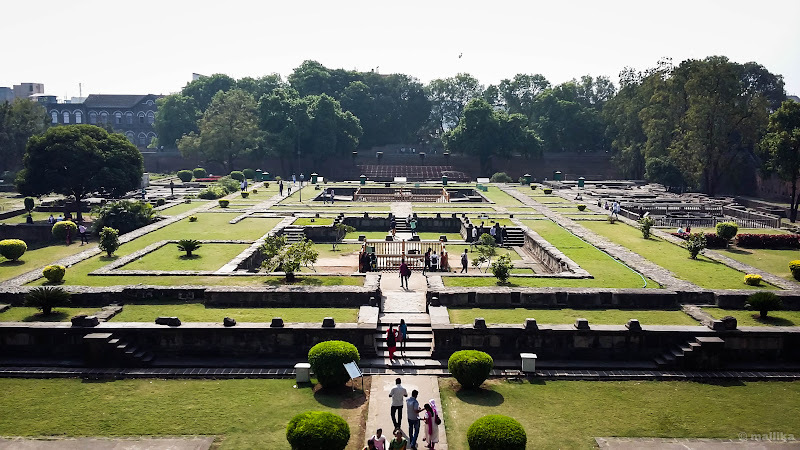 Instead, they reflect the bustling streets, the women behind carts, the men in faded dhotis, the bike riders, the car goers, the kirana dukaan, the traffic signals, the floating clouds, and the flying sparrows, like holding mirrors to the city. Its visible there for you to see. Like a slap you can’t turn your face away to. People and cultures merge, dissolving like water colors on paper blotched over each other. Some pockets murky, some clear, some overlapping into one another, each color varying in their depth and degrees. Overall it’s a beautiful blend of tradition and modernity, a beautiful picture you can’t ignore. Pune, you are beautiful, no doubt. But I long to go back in time. To time when it spun back into history. Where the wadas came alive in their full splendor and their now dark staircases were filled with giggles and laughter from women of those times. Where modernity did not nudge the traditions and replace with this blend so quickly. Where the frail walls that stood strong to weather and time, spoke of valor. Where the cracks in cultures merged, the history disentangled itself and the heavens called for legacy to rule again. 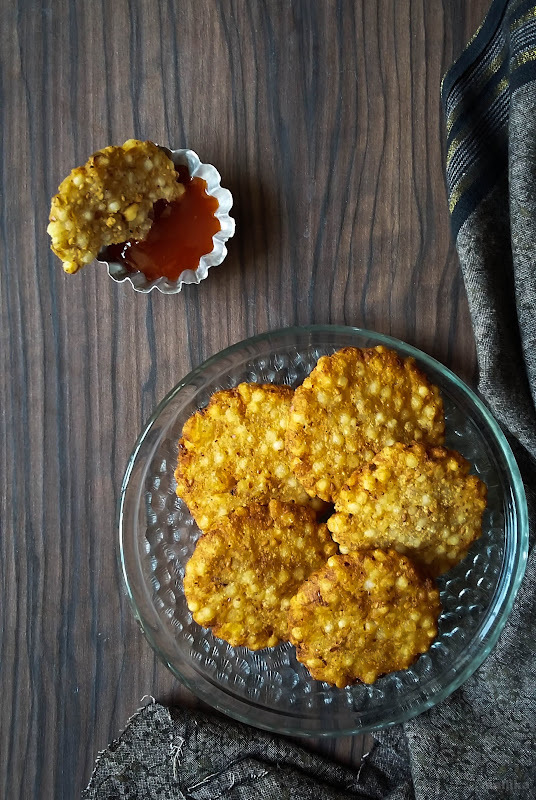 In my ode to Pune, I bring this delicious Sabudana Vada from my kitchen to yours; a classical, traditional Maharastrian dish that I have loved for several years now. I made this in the fond yearning of the time spent there savoring local delicacies, sabudana khichdi, misal pav, vada pav and this sabudana vada. 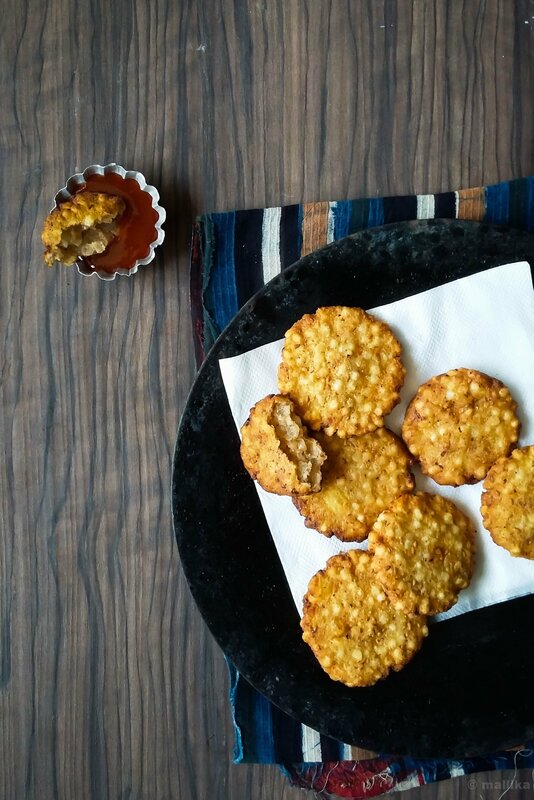 Its flavors sing to you in simplicity, bursting from the golden crisp pops of sago pearls, punctuated with potatoes, peanuts and chillies in each bite, each subtle and well blended. It's a thing you should try, incase you haven't. Wash the sago and soak it in just enough water to cover the pearls. Soak it for 4-5 hours or preferably overnight. In the morning, the pearls will be plump and doubled in size. For 1 cup of soaked sago, I used 1/3 cup of raw sago, washed and then soaked them in 1/2 cup of water for nearly 5 hours. Combine all the ingredients in a bowl and mix well. Pinch a lemon sized portion out of the prepared vada mixture and shape it into ball. Gently flatten it with fingers. Prepare all the vadas to fry and keep them aside. Meanwhile, heat the oil in a thick bottom vessel and deep-fry the vadas on a medium flame till they are golden brown in color on either sides. Drain on kitchen paper. Serve hot with green chutney or tomato sauce. Wat a lovely write up! Pune was our first home post wedding for about 8 months. 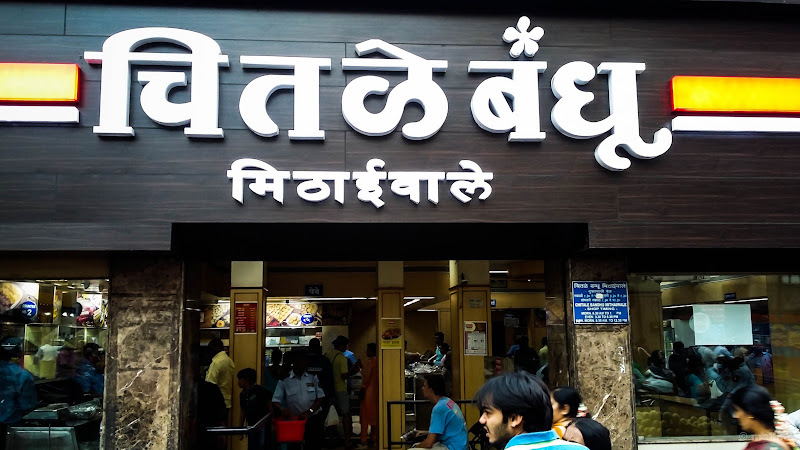 Absolutely loved the place and its delicacies... Dabeli in particular! Yum :) And sabudana vadas was my take away from an Aunt in Pune. I simply fell in love with it and now you have reminded me of it. Lovely pictures as usual! I love the extra crunch you get from saudana vada! I am yet to visit Pune, my sis in law stays there, you just got me tempted. I totally agree on the crunch you get from sabudana vada. You should visit your sister in law in Pune sometime, Kankana. I'm sure you will love it and will see many similarities with Bangalore. I would love to see Pune through your eyes!